Instagram’s plans to implement a branded content tagging system for disclosure and brand management purposes was rolled out this past week — and people in the business of selling influencer campaigns are worried. Brands, on the other hand, should be very happy. Get up to speed on it, and quickly, before you execute your next influencer campaign. The new sponsored content tool is still, at this point, fairly simple. It allows a brand to select a list of “Advertisers”, AKA influencers who will be posting sponsored content for the campaign. The influencers must then tag the brand to set up a connection for the campaign. Once tagged, the partner’s analytics are shared with the brand. All the brand-sponsored posts for that campaign will appear with a tag up top that indicates “Paid for by [Brand].” From a disclosure standpoint, this will go a long way toward appeasing the FTC and corporate legal teams. But equally importantly from the brand marketer’s standpoint, this allows the project manager of the campaign access to vital analytics pulled directly from the influencer partner’s Insights: reach, impressions, and taps forward (AKA early exits) on Instagram Stories. 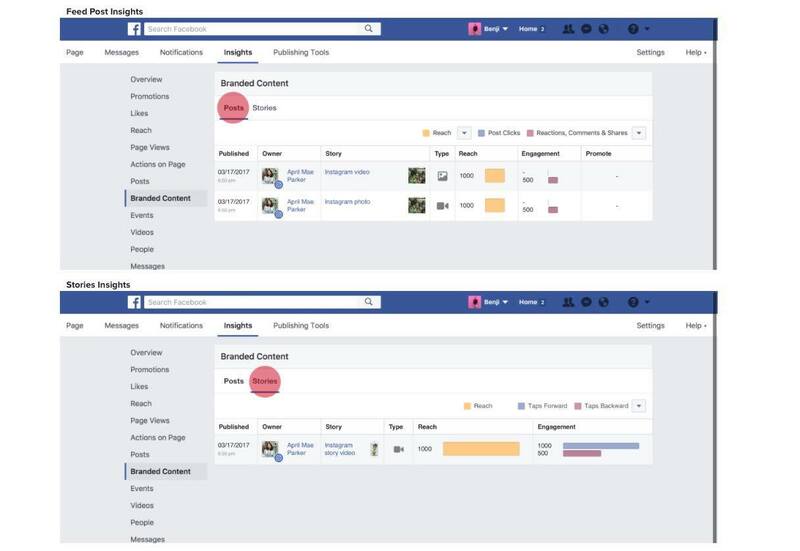 These stats will be available on the Facebook analytics dashboard connected with the brand’s Instagram account, and they will show up each day, recapping the previous day’s activity. First, Let’s Get an Expert’s Assessment: Is It a Turning Point for Instagram Advertising? “It is a good start,” says Hung Doan, technical advisor on staff with Pacific Digital Studios in San Francisco. Doan’s role is to develop workflow applications for his firm’s clients — major brands such as Reebok, Sephora and Chevron. In this capacity, he regularly tests all the new tools, features and third-party applications servicing the booming influencer marketing space. He tested branded content Instagram tagging from the campaign-owner side and through several “influencer” accounts he manages. He says that, while still minimal and perhaps not fully baked, this is a major turning point for Instagram’s credibility as an advertising platform. Doan moonlights as an Instagram dad, running a niche-specific toy photography account @forcedadphotography together with his son. Despite having “only” 9000 followers, he shoots for Hasbro, has had his work shown at Comic-Con, and has been featured on Yahoo and io9 for his completely organic viral posts — all engagement generated through visually stunning posts. Doan is among a tiny minority of social media influencers who advocate for 100% organic and transparent standards among influencers. As a marketer, however, he’s simply one of the most technologically adept people producing campaigns for brands — and demanding real metrics on behalf of his many prestige clients. Interestingly, his advice comes from knowledge of the other side. Doan spent a few years as a black hat bot coder, developing custom tools to game the platforms. Influencers were some of his biggest clients. “I studied the effects of [black hat practices] and saw how it ultimately doesn’t work. Real content, in the end, is the only true way to grow. It might be slow, but it is the only way,” he says. Till now, influencers were rewarded for using black hat growth tactics. With this new policy in place, they’ll be revealed. What Does It Mean for Instagram Influencers? The Wild West days of Instagram are coming to an end. The days of assessing an influencer’s potential benefit based on their follower numbers, Stories views, or unreviewed engagements — also over. The days of paying an influencer “for their reach” and then relying on screencaps to share that reach — over, thank goodness. Most importantly, the standard of paying $X per # followers are over. This used to be the easiest metric to guess-timate an influencer’s audience — though rife with inaccuracies due to bought followers or auto-engagement tools. And influencer reps have gotten in the habit of asking astronomical fees if an influencer’s supposed audience hits 100K or larger thresholds. Now, though, brands can structure compensation based on the post’s actual reach. “I think influencers will be scared to use this, as it reveals how posts actually perform on a single post metric,” says Doan. They need to come to terms with it however, as third part apps including Fohr and Iconosquare are introducing even more in-depth analytics tools in the next few months. The only way an influencer will not have sponsored tagging capability is if they still have a personal account, not a business account. (And even this does not seem definite yet, according to Doan.) Some personal accounts may get the capability, but ALL professional Instagram partners should have a business account in order to work on your campaign. Now more than ever — if an influencer does not want to be subject to business standards, your brand does not want to work with them. 1. 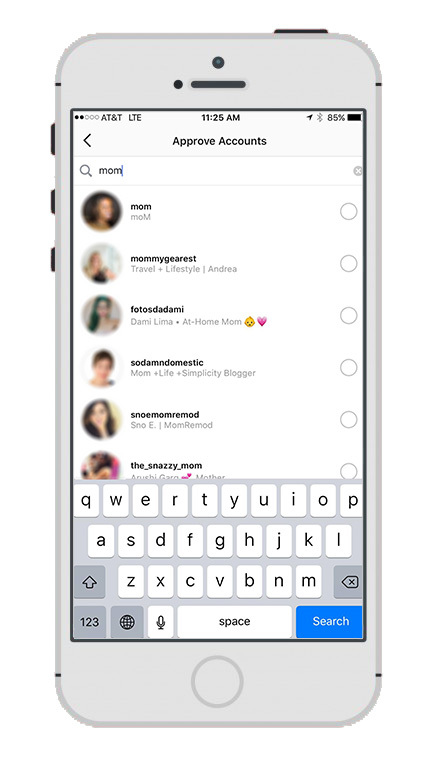 Sponsored tagging is a new application for the tagging system already available on Instagram. To date, people have used it to get another account’s attention. Would-be influencers tagged brand accounts even if they did not have a working relationship, in hopes that the social media manager would look at their tagged content. Instagram has now added a “Require Approvals” function to tagging. 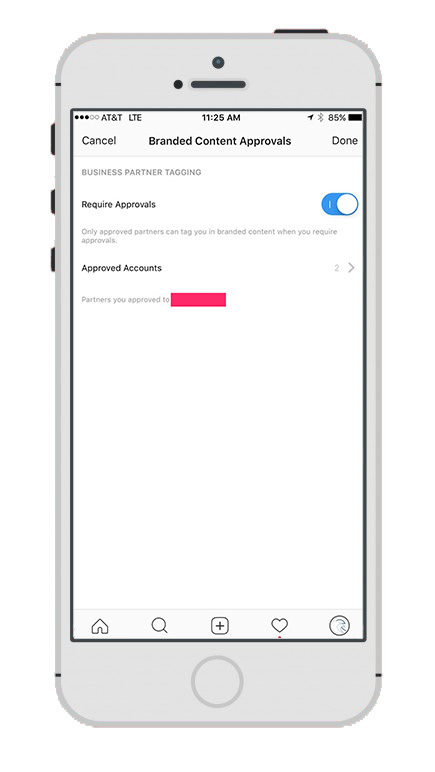 If enabled, it only allows the selected partners to tag. Non-approved accounts will not be able to make contact with the brand, even through a tag notification, though according to Doan’s testing, there is no visible error message or other indicator of this. The non-approved content simply doesn’t show on the brand’s side. This will be very effective in minimizing unwanted noise during the duration of a campaign, but brands should review the feature closely to decide if they want to restrict approved taggers on a regular basis. 2. As of now, in order to see daily reports, people on the brand side need to log into the linked Facebook account on a desktop. The results also appear the day after the activity, not in real time. Ideally, Instagram would roll out a mobile view function next, followed by real-time viewing capability to mirror the influencer partner’s clickable Insights. 3. In these early stages, other Insights metrics like post saves, click-through to website, and location of engaged accounts don’t show up on the brand’s dashboard. Also, brands do not have the capability to disburse funds for promotion of certain posts, or payment to influencers. The feature is specifically meant to provide brands with the vital metrics that enable them to assess an influencer’s true reach per post. Will Instagram make more money? Yes. Will brands spend more money? Not if they use the tool correctly.